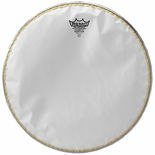 Remo Black Max Marching Snare Drum Heads combine an extremely durable Technora Aramid Fiber weave with a reinforced counterhoop. 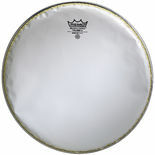 Featuring REMO®'s DuraLock™ technology, this is one of the most popular marching heads in the world. 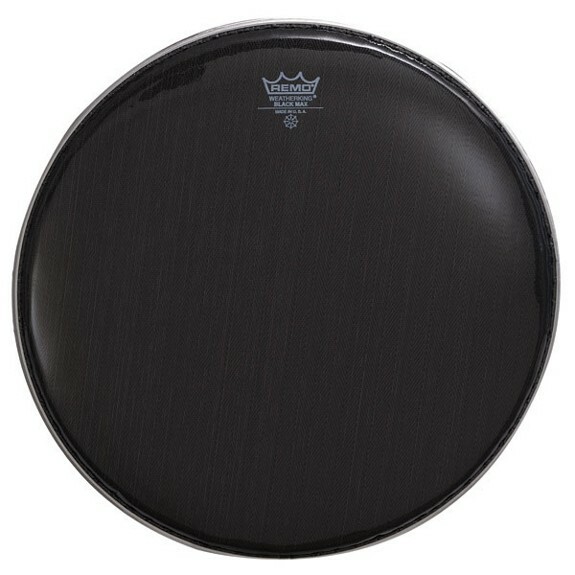 The Remo Black Max Snare Drum Head is perfect for all marching applications. Well I agree these heads are great I must disagree. They are breakable trust me. I have about a 6 inch tear from my latest rimshot. Heads are still great though and last a very long time. This is hands down the best snare head ever compared to the crappy hybrid greys. It looks good, feels good and sounds great. What else can you ask for from Remo. 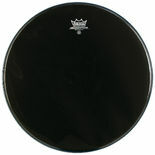 The black max in my opinion is the best feeling drumhead on the market. Sound wise, they can sound well all over the pitch spectrum. 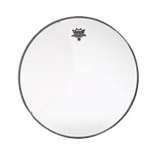 The remo max series heads are the best for your money! They feel more natural than the evans heads and produce better tone and rebound. They sound great whether you tune them high or low. This head is by far my first choice.